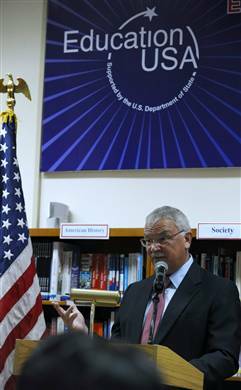 I was pleased to see Ambassador Michael Michalak talk at considerable length about accreditation at a recent ribbon cutting ceremony for the Embassy’s new EducationUSA advising office. In fact, over half of his speech focused on this important topic. When I was IIE-Vietnam country director from 2005-09, this was one of my “signature issues,” and I worked closely with the Public Affairs and Commercial Service sections of the Embassy and Consulate General, each with a somewhat different interest. 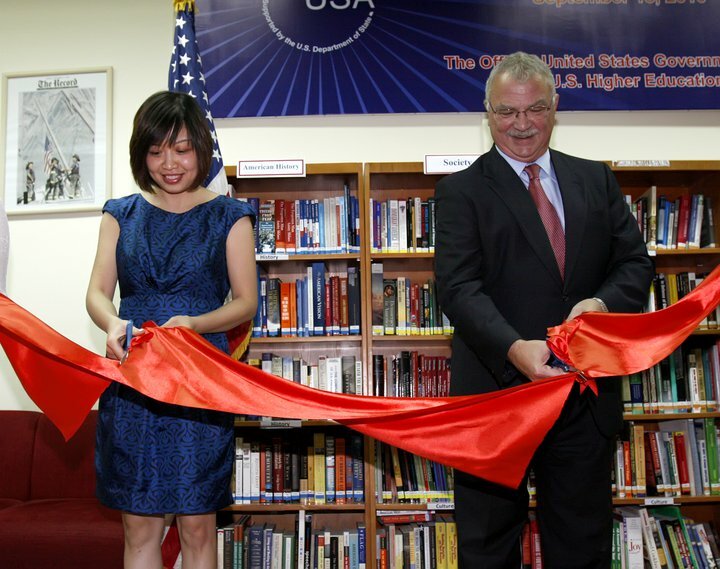 The U.S. Mission (Hanoi & HCMC) receives a steady stream of requests to meet with U.S. higher education colleagues and send staff to various events, including graduation ceremonies. The question is always this: is the institution making the request accredited? If not, having an official U.S. government representative present has some potentially nasty public relations implications. The U.S. State Department’s official position is that it works only with officially accredited U.S. colleges and universities. This issue is a quietly ticking time bomb that will explode not all at once but over an extended period of time, slowly, insidiously, invisibly for the most part but nevertheless destructively. The cumulative effect of “US higher education institutions” cheating students and parents will tarnish the luster and damage the reputation… of accredited US colleges and universities. Thus, we will be doing ourselves and foreign countries a favor by taking the issue of learner protection seriously and taking the necessary steps to rein in, or at least expose, unaccredited schools. It is an issue that should also concern the US State Department because part of its work is directly related to public diplomacy and the United States’ image in the eyes of the Vietnamese and people of other nationalities. Just like institutions that are considering partnering with a U.S. school, prospective students must also undertake due diligence by carefully investigating the school they plan to attend and determine if it meets the level of academic standard they expect. Similarly, Vietnamese institutions wishing to partner with a U.S. school should also conduct thorough research and determine if they seek to base the partnership on strong academic standards. The first and most important step in determining a school’s legitimacy and quality is to check whether an institution is accredited by a “recognized” body or bodies. To do this, visit the websites of the U.S. Department of Education and the Council for Higher Education Accreditation. You may also reference the U.S. Embassy’s “Accreditation Resources” website which includes specific questions that should be asked in assessing an institution. The Embassy also has an interest in facilitating broader and deeper relationships between U.S. universities and Vietnamese universities. Again, accreditation status is the starting point in all of these discussions. If a U.S. school does not have accreditation or an active plan to become accredited, we will not support that school’s efforts to establish relationships with foreign schools because they have not made the effort to show they meet certain quality standards. At the same time, we would encourage Vietnamese institutions to continue to support joint programs with accredited U.S. schools as these can provide many of the benefits of a U.S. education while never having to leave Vietnam. The last comment is especially striking. Indeed, to my knowledge, it’s the first time the U.S. Mission in Vietnam has taken a public stance on this issue, and I applaud the Ambassador for drawing more attention to it. Also a first: both the Embassy and the Consulate General have a section entitled Accreditation Resources in English and Vietnamese (Kiểm định Chất lượng các trường Đại học Hoa Kỳ). As of today (20 September), it took the third slot in the In the Spotlight section of the homepage, sandwiched between President Obama’s Address on the End of the Combat Mission in Iraq and Jan. 2010 Education Conference Report . Thanks for your tireless efforts on this issue of accreditation. As a Vietnamese-American educator, I’m saddened by the extent to which the rogue providers of “no-quality” college education have gone to make some quick bucks at the expenses of Vietnamese families (their savings and the future of their children) and our (American) reputation. I’m equally disappointed when some local Vietnamese authorities are also “taken for a ride”. I hope the US embassy can help VN MOET to caution local authorities and educational institutions about granting licenses or partnering with these bogus “degree mills”.